In some countries, you can bid for the plate you want. But sometimes, the system can assign an incredible plate for you, loser. 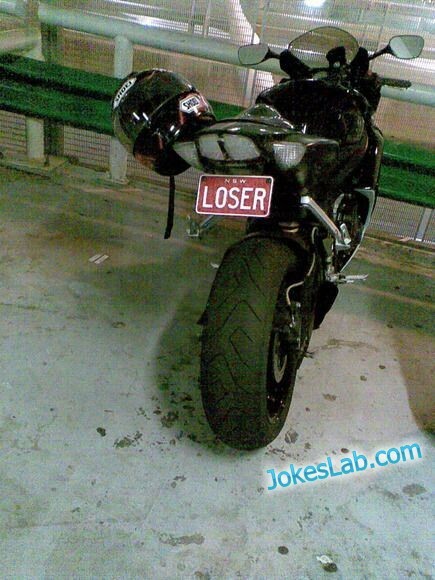 This entry was posted in Funny Pictures and tagged car, funny, motorcycle, picture, plate. Bookmark the permalink.